At Regency Heights, we’ve prioritized convenience with washer and dryer connections and an available garage, perfect for your vehicle and extra storage. Organize your wardrobe and household with your walk-in closet and spacious kitchen pantry. Stylish high kitchen stools set the stage for morning coffee and conversation. And whether you’re a dedicated cook or an aspiring chef, you’ll love your galley-style kitchen with a suite of energy-efficient appliances. 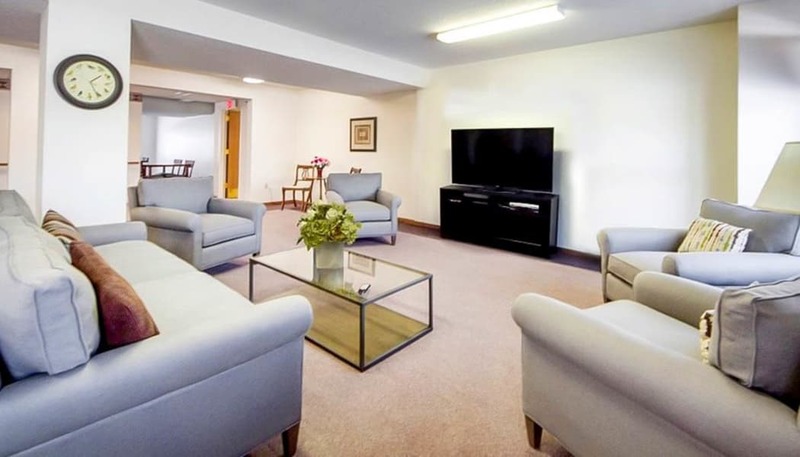 A clean and beautiful apartment home – and a community packed with inviting amenities – make Regency Heights the choice for 55+ adult apartment living in East Iowa City, IA. View our complete list of home features and community amenities to see all we have to offer, then contact the leasing office to schedule your tour.